SunGreen web site - Cinderford, Mitcheldean, Drybrook, Ruardean and nearby areas. 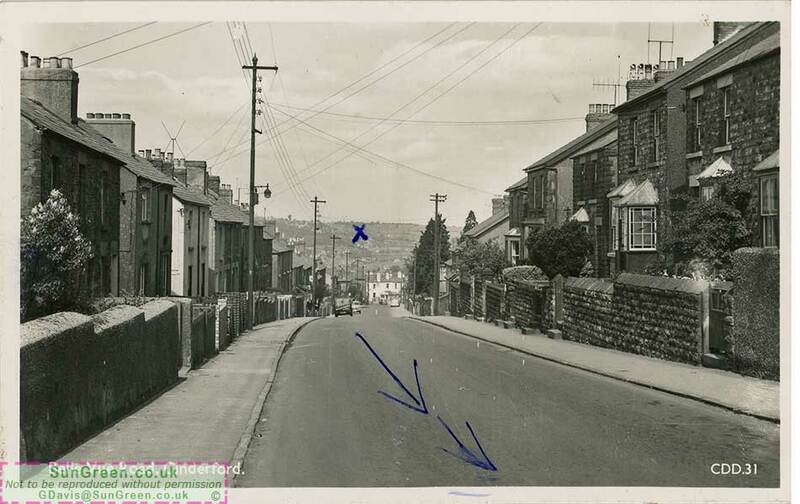 Belle Vue Road, Cinderford looking towards Drybrook. The card was sent in the 1950's by a young lady in Cinderford to her penfriend in Australia. On the back is written: "The arrow is the road leading to my school Double View Secondary School. The cross is where my grandad's farm is". David Price added: "I think that's Leonard Clark's house on the extreme right". John Phillips added; "... The house on the left-hand side of the road, next uphill from the white house is No.81. This was the home of Mrs Gertie Young, mother of the late Sir Jimmy Young the well-known singer and broadcaster". 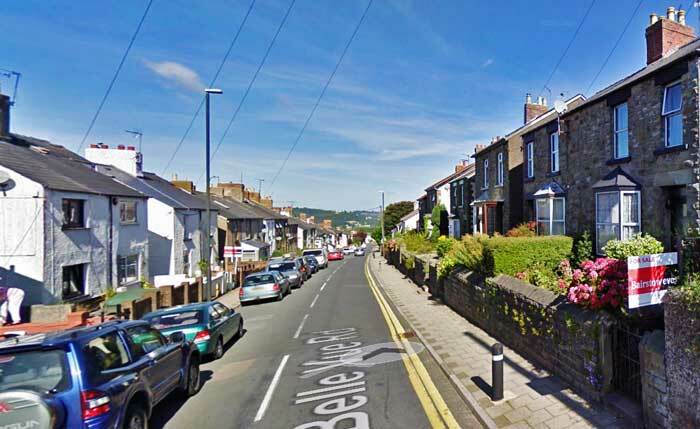 A very similar view from Google Maps (Streetview) as photographed by Google in Sep. 2009. WANTED: Old photos, old postcards, ephemera and memories of the Forest of Dean, Gloucestershire. U.K.- please click here to make contact.